Gal Gadot as Wonder Woman in the superhero franchise from DC has been getting a lot of attention. For the past couple of years, DC has been dishing out some pretty lukewarm (at best!) films like Batman V. Superman and Suicide Squad, which have bombed at the box office. 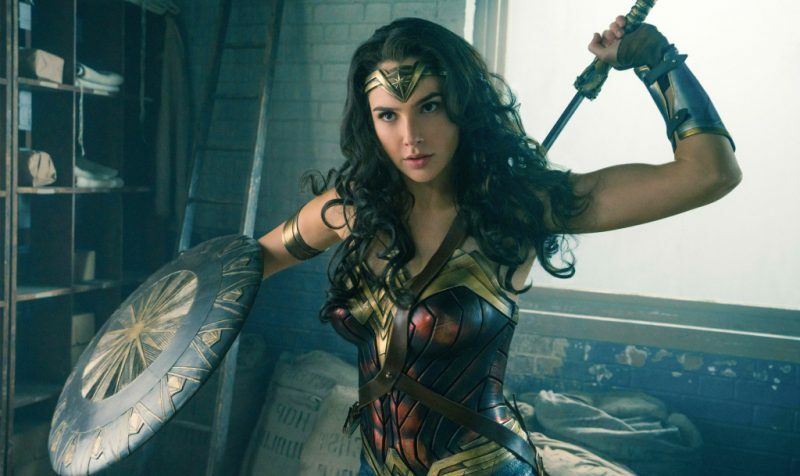 Wonder Woman, at such a time,came as a pleasant, and a much-needed surprise, for us DC fans. The news of pregnant women achieving extraordinary feats have recently come to light,and it has been one of the few positive feminist leaps that have proved women can achieve practically anything. For centuries, pregnancy has been perceived as a debilitating force. It has been used as an excuse to confine women, to deny them and to tell them what they should or should not be able to do with their bodies when they are with child. Pregnancy is, a private and a public experience, at the same time, says Roxane Gay in her book, Bad Feminist. 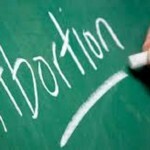 Pregnancy is very personal to the person or the couple or the people involved in it. But pregnancy invites unwanted public interference, making it one of the least private experiences of a woman’s life. This interference by the world can be in the form of people wanting to touch your belly (!) or wanting to know if it is a boy or a girl. Why? Because you are pregnant, that’s why! This interference can stretch from something as mild yet annoying as that, to something like random people feeling they are entitled to make decisions about your life – whether you should continue working or not, whether a particular sport is a good idea for you or not; whether you should eat a particular thing, drink a specific drink – everything suddenly becomes everyone’s business! But with more and more celebrities acting out against these restraining stereotypes and compulsions and deciding for themselves, the world has started taking the example of these trailblazing pregnant women, who show what true power and grit is. Gal Gadot is not the only celebrity who has managed to achieve things which are nothing short of great, while she was pregnant. In fact, women from all walks of life including movies, arts, fashion, sports, business, politics, etc., have shown that pregnancy and motherhood cannot be dissociated from who they are as professionals and individuals. These women have been rocking their pregnancies and doing things that previously women couldn’t even imagine doing while pregnant. Well, the superhero Williams pulled off something else that was awe-inspiring. Earlier this year, she won the Australian Open final, while she was eight weeks into her pregnancy. 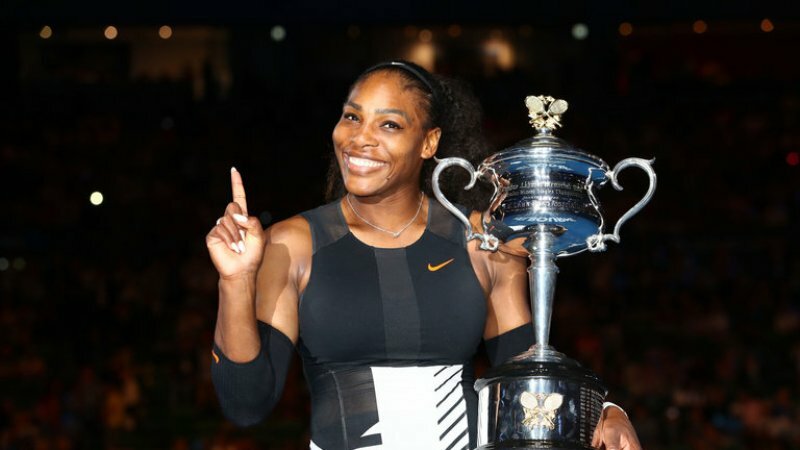 Shortly after that, rumours started circulating, and she confirmed that she was, in fact, pregnant when she won the Australian Open for the 7th time, which is more times than any other tennis player has ever won. Serena, however, is not the only woman who has showed the world that she can take on her challenging sport even when she is carrying a baby. 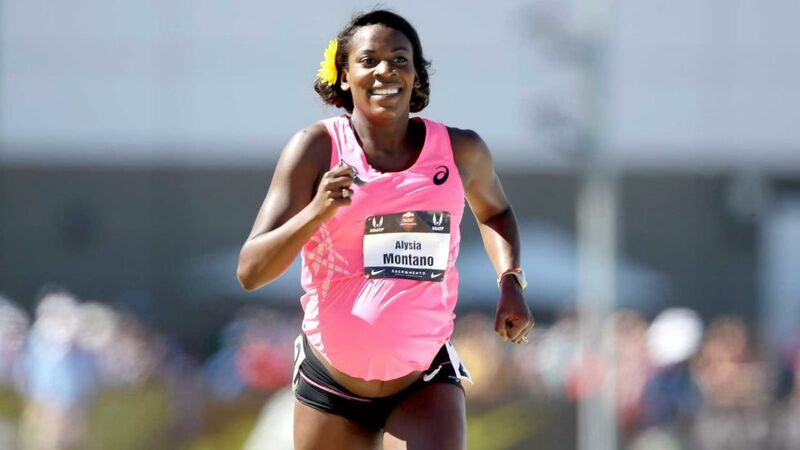 The most recent example is that of Olympic runner Alysia Montaño who left the world stunned when she ran the USA Nationals marathon while five months pregnant with her second child. To make the occasion even more stirring, she wore a Wonder Woman sports shirt with a graphic representation of the character splashed across her attire, and her baby bump proudly on display. The best part is, this isn’t the first time Montaño is achieving something so momentous and ground-breaking. While she was 4 months pregnant with her first child, she ran the same marathon in 2014, and aced it. Alysia Montaño ran the recent marathon, knowing that she will not win it. But winning wasn’t important here; what was important was competing. Alysia wanted to make a point, a necessary one that women can race without harming themselves or their pregnancies. This is a conversation that makes many people uncomfortable. People avoid this discussion generally, because they cannot make up their minds about whether or not such actions are safe. Did you know that Amber Miller, in 2011, competed in a marathon, and merely a few hours after completing her run, gave birth to her daughter? Now let that information sink in. Many of you, while reading this, must have found it difficult to silence the tiny voice within you that says, “Are these women putting themselves and their pregnancies on the line in an effort to prove a point?”This isn’t an invalid question, and so we don’t want to brush it under the carpet, we want to have this conversation with you. Should women avoid high impact exercise or work during their pregnancies? Furthermore, ACOG suggests that a pregnant or postpartum woman needs to exercise at least for 150 minutes a week. 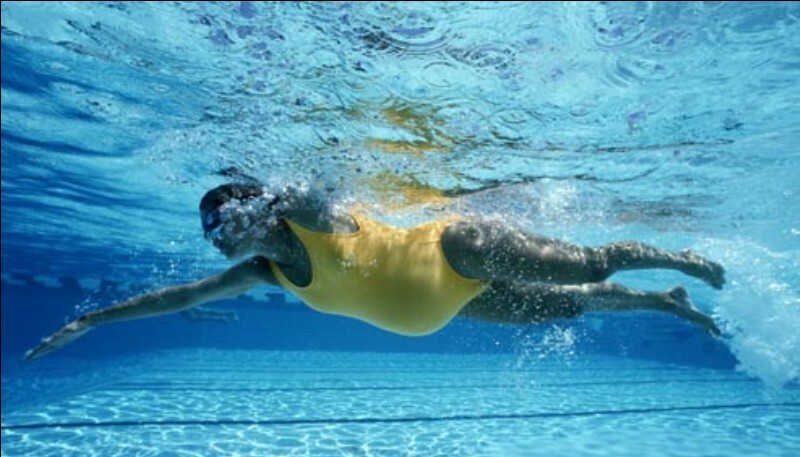 Running, cycling, swimming, tennis, and Pilates, according to the ACOG, are sports that benefit pregnant women. Sports that have a high risk of falling, such as skiing, gymnastics, and surfing, however, are not advisable for pregnant women. A corollary of what Michael Cackovic is saying is that someone should not suddenly sign up for a rigorous exercise routine, if she wasn’t doing it from before she got pregnant. So if you, all of a sudden, plan to run a marathon while you are pregnant and you have never trained for/run a race before, then there can be complications. But one who is a seasoned marathoner can go on with their running even in their second trimester, provided it does not feel uncomfortable. After the second trimester, however, it starts getting difficult to keep up with the performance that one had before pregnancy. And so, it becomes important for one to listen to what their bodies are signaling them to do. Even before the third trimester, if your body feels like its urging you to rest, you need to rest. Every pregnancy is different. Just because an Alysia Montaño runs a marathon when she is five months pregnant, does not in any way mean you need to do the same thing. But if you are someone who loves exercising, or is a competitive athlete, you can continue with it as long as your body says it’s fine, without regret or fear. 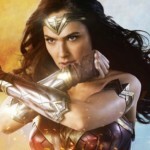 Stories like that of Gadot, Williams, and Montaño cropping up more frequently, are telling women everywhere that everyone can be a Wonder Woman if they choose to be one. When people in powerful and responsible positions feel they can show off their motherhood and go about their lives, it speaks volumes about womanhood itself, and the positive direction in which it is headed. The stigma and stereotypes surrounding pregnancy is being broken by pregnant women, who are choosing to defy what society thinks they should do, and instead doing whatever they feel is right for them. When a woman makes a choice of treating her motherhood as an important part of her life, but not her entire identity, she breaks a gender norm that attempts to bind her by making her feel guilty of trying to save who she is. 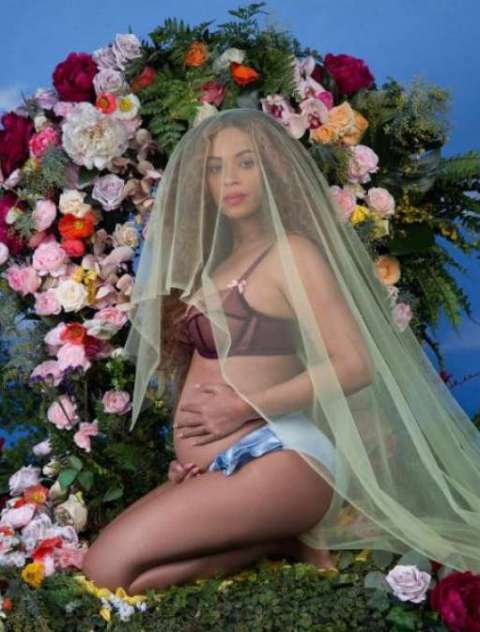 Even showing off the baby bump, which is such a thing among celebs now, is an act of empowerment, because the idea that pregnancies aren’t something you should hide and be ashamed of, is important to convey. A beautiful instance of this occurred during the Lakme Fashion Week last year in Mumbai, when well-known supermodel Carol Garcias walked the runway while she was heavily pregnant in a gorgeous green and fuchsia saree by designer Gaurang Shah. In fact, several other international models like Miranda Kerr, Alessandra Ambrosio, Lily Alridge, and Irina Shayk have walked some of the most prestigious runways in the world, with their baby-bumps on full display. This act of defiance, a telling down of all the naysayers, is showing more and more women how they are wonderful and how their bodies are meant to be celebrated, whether they are pregnant or not, that their bodies are capable of doing much more than just carrying a baby, while carrying a baby. Also, there are brownie points for the fact that these kids who achieved all these things with their awesome mums will hear amazing stories about their 9-month stint in the womb! But apart from the good fortune of these babies for having such badass mothers, it is also a step forward in the right direction for women all over the world, who are still wondering what they can or cannot do when they are pregnant. Women are climbing rocks, practicing athletics, speaking in Parliament, running empires, making action movies and doing so much more when they are expecting. So there is no limit to what we can do or who we are. We are all Wonder Woman in our own wonderful ways, and can go about our missions, whether pregnant or not! Celebrities all over the world are showing that pregnant women can achieve a hell lot. NLT breaks down what makes them Wonder Women in their own right.